What children’s books can help nurture a child’s language ability and promote a love of reading? See these posts for suggestions! We moved in August and I’m now gradually organizing the many books and papers that I’ve amassed over the 22 years I’ve lived in Hiroshima. One box contains the early board books that I read to my kids—who are now 14 and 11—when they were just babies and toddlers. I’m in the process of repacking the box, to store safely away in a closet, but I thought I might stop and share with you the 10 board books that I read most often to my children (hundreds of times each!) and that I hope they will one day read to their own newborns and thus begin the journey of handing down the minority language to the next generation. 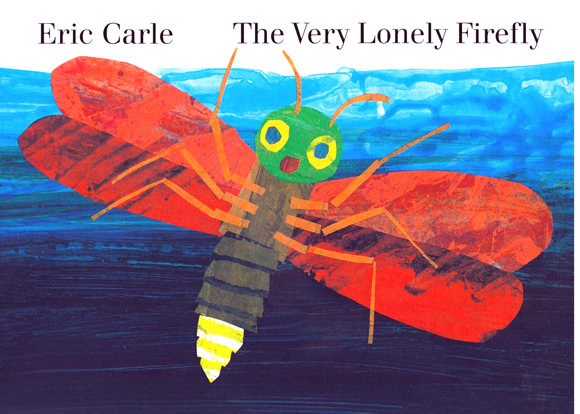 One of the most popular children’s books on Earth, from the brilliant Eric Carle. 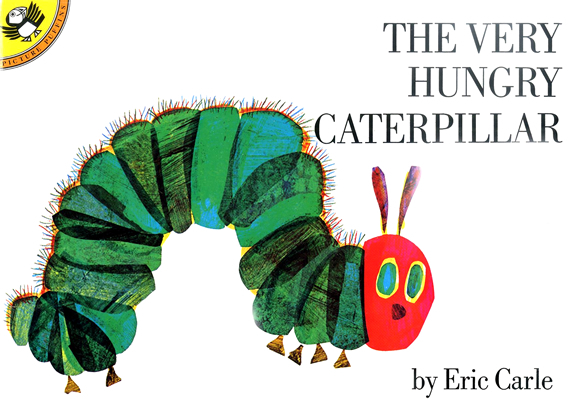 Another lovely book by Eric Carle. The last page contains tiny flickering lights, like fireflies. So much fun to read aloud. As my kids got a bit older, they would even act out the story as I read it. Two years ago, I shared a creative project that was carried out by Nellie Robertson and her two children. They live in the U.S. and Nellie is originally from Hungary, which means that English is their majority language and Hungarian is their minority language. 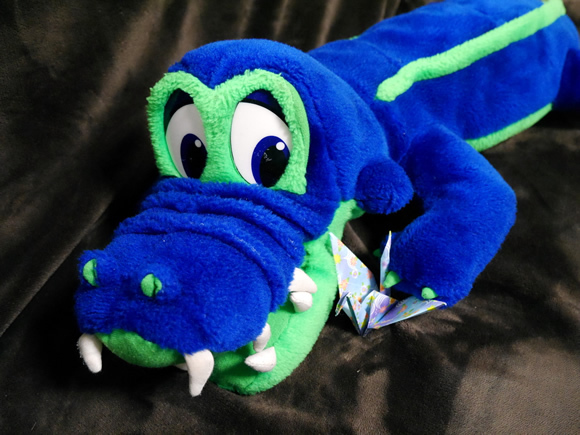 The project took place over the course of a full year and involved a stuffed alligator named Alfonzo, who they sent on a worldwide trip to enjoy “homestays” with a number of families (including mine!) who then reported on their experiences with their toothy guest. 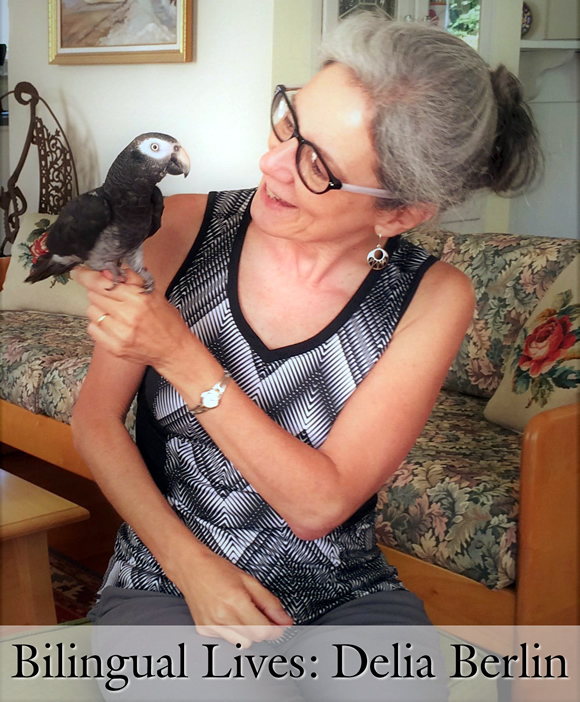 During this time, Nellie and her kids blogged all about Alfonzo’s adventures—in both of their languages—and the result was a wonderful project that was both very fun and very effective. Well, Nellie and her kids are back, this time with a fantastic book project that involved Nellie and her nine-year-old daughter, Zita. 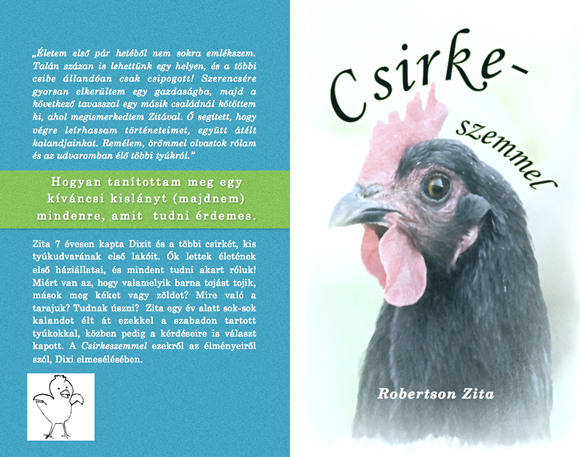 With Nellie’s solid support, Zita has written and self-published a book about her chickens, with versions in English and in Hungarian! Full disclosure: Because Nellie and her family live just a short drive from my hometown of Quincy, Illinois, I was able to visit them in the summer of 2017! 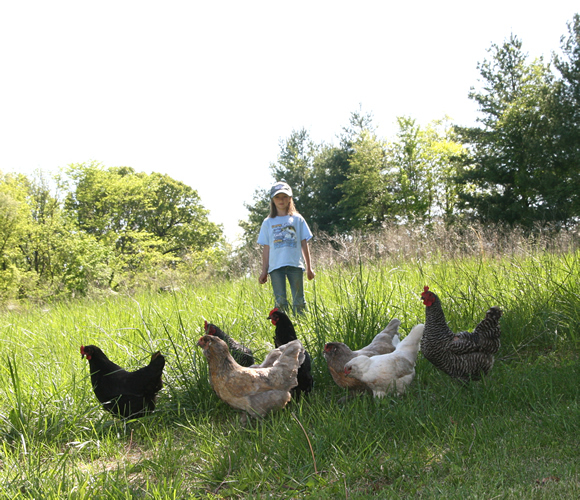 So I not only had the happy chance to meet Nellie and Zita (and the father and younger brother), I met the chickens, too! When Nellie told me about their new book project, this became something I was eager to share. As I’ve stressed before, along with persistent daily efforts—like providing ample speech in the target language, reading aloud, and pursuing a regular homework routine—language and joy can be fueled even further through the use of short-term projects: making videotaped interviews or “dramatic” films; creating a picture book or comic book; writing and performing a short play; singing and recording a favorite song (even making up your own); inventing a new game and playing it together; compiling a photo album and adding captions; pursuing crafts or a building task; researching and reporting on some subject of interest; and many more. Here, then, are Nellie and Zita to tell you all about their bilingual book project. Many thanks to them both for generously sharing their lives with us. Have you ever thought about writing a children’s book? I think this idea has crossed the minds of many people, particularly parents who read a lot of picture books to their own kids. And some of these parents, of course, are seeking to raise bilingual children and so the book they imagine writing would be in their mother tongue, to help their kids—and other kids in the world—learn that language and appreciate that culture. Well, one parent who has fulfilled that wish is Ana Cristina Gluck, a mother of two who is originally from Brazil and now lives in the United States. Ana Cristina, who has a background in graphic design and marketing, wrote the children’s book Minha Familia, in Portuguese, and this book has gone on to earn dozens of five-star reviews at Amazon from grateful parents. Recently, I spoke to Ana Cristina via Skype about her experience as a writer and publisher, then followed up by email to pursue the interview below. 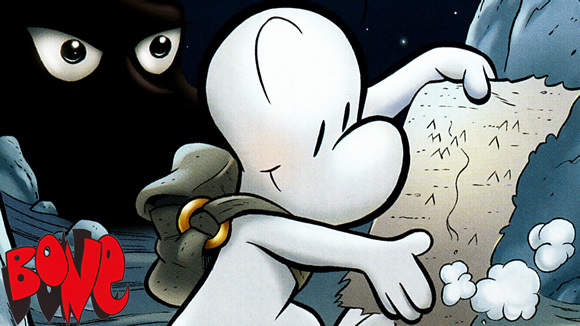 Indie publishing is certainly a challenge (as I know personally! 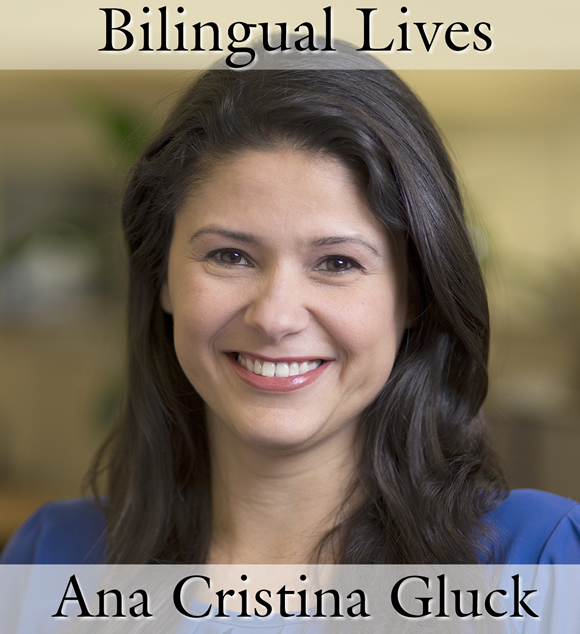 ), but Ana Cristina’s proactive spirit is enabling ABC Multicultural to produce high-quality books on a regular basis and positively impact the lives of families all over the world. 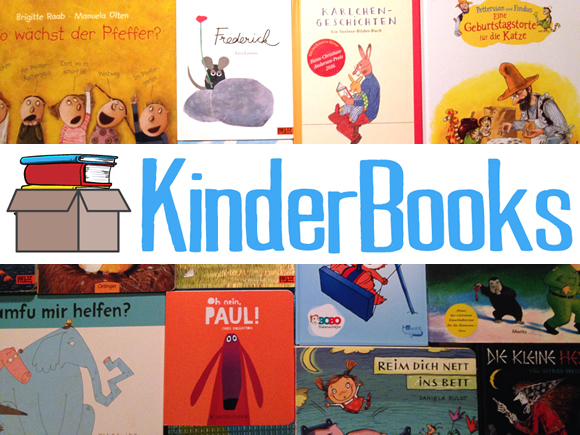 Ever wonder about the value of bilingual books for kids? 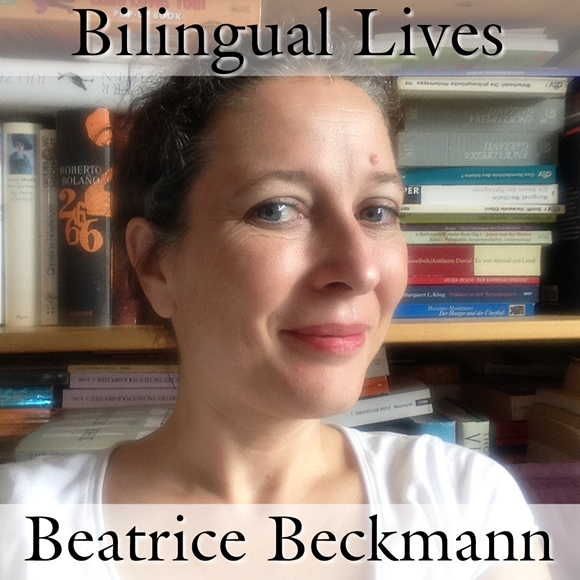 So when I decided to launch this new series, to celebrate bilingual lives, it seemed to me that Delia—who has led a very active bilingual life, both personally and professionally—would make an inspiring example for others. I thank her for agreeing to be featured in this way and I hope you enjoy the story she has lived—and the stories she has written—as much as I have. Today I’d like to give a loud shout-out to author Hennie Jacobs and her uniquely bilingual children’s books. While it’s true that, as a rule, I no longer feature specific titles for bilingual children’s books at this site (continuing to do so is beyond my capacity), I feel that Hennie has taken an inspired approach to the challenge of creating “bilingual books” and I want to share her work with you. 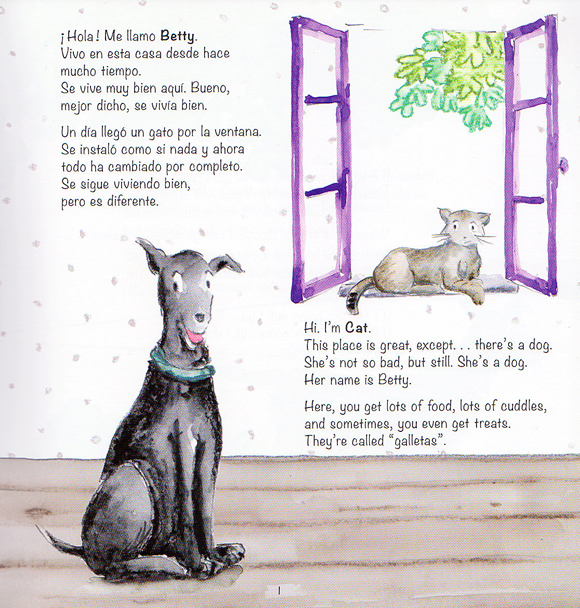 What makes Hennie’s books different from the many other bilingual books I’ve seen is the way she incorporates the two languages in her “Betty & Cat” books. (To date, Hennie has produced three books in this series, in various pairings of these languages: English, French, Dutch, and Spanish.) 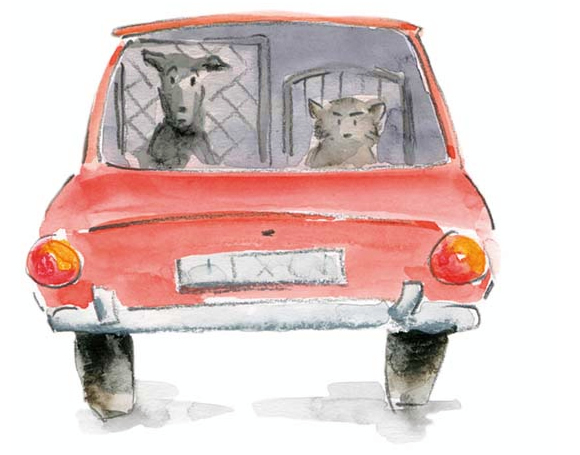 While typical bilingual books for children will tell the story twice, with mirror translations of the text, Hennie has written books with two characters—“Betty” (a dog) and “Cat” (yes, a cat)—and each character speaks a different language. In other words, these stories are told through code-switching, with the dog speaking one language and the cat speaking the other language. 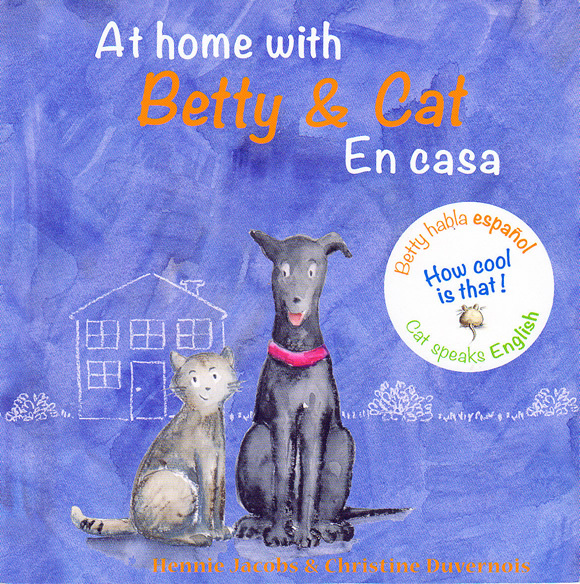 Here’s an example of this from the book she kindly sent to me, a Spanish/English version of At Home with Betty & Cat. Note that the dog speaks Spanish and the cat speaks English. Throughout the book, their voices—and the two languages—alternate in the same way. At the same time, I should note that because the books contain no translation of the text, readers and listeners need to already have some ability in the two languages used, otherwise it may be difficult to enjoy them fully without a dictionary at hand. To learn more about the appealing “Betty & Cat” books, read the revealing interview (below) that we pursued through an email exchange. 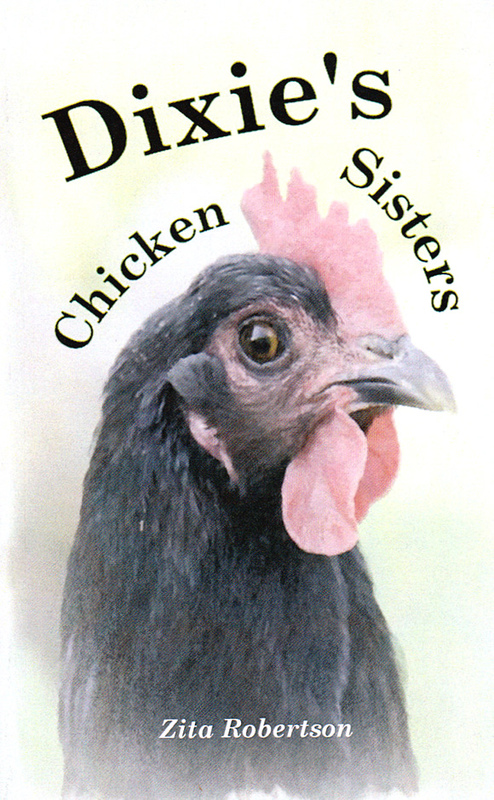 You’ll find further information, too, at Hennie’s website. Hennie has also agreed to provide free copies of her books to two readers of Bilingual Monkeys (and two books each!) so be sure to enter this giveaway, which closes on Friday, March 16. Friends, I have some really exciting news! 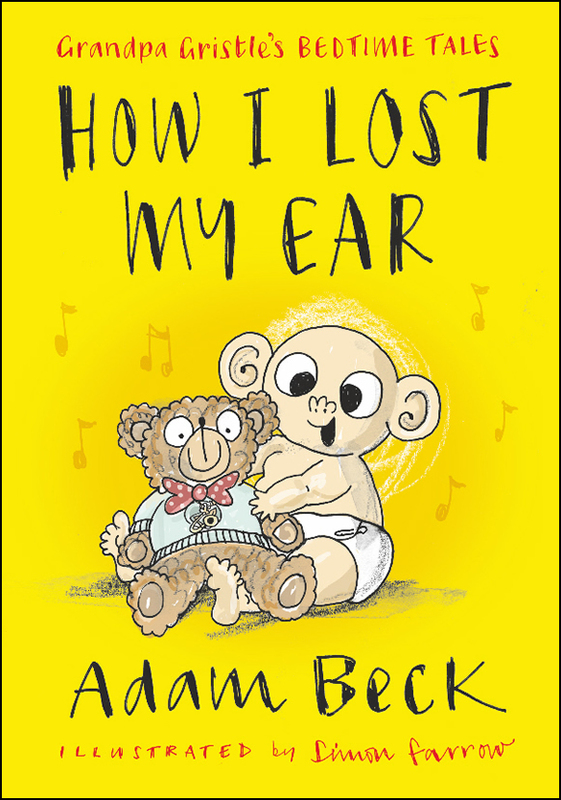 My new novel, How I Lost My Ear, is now available worldwide! I actually started writing this book 10 years ago, before I began Bilingual Monkeys and wrote the book Maximize Your Child’s Bilingual Ability. So it was a really long project and I’m so happy and relieved that I’ve finally crawled across the finish line! In fact, the story itself was basically completed a year ago but then the process of illustrating it took all of 2017…because there are 136 illustrations! The illustrator is the British artist Simon Farrow and he did an incredible job. His illustrations are wonderful! So I’m thrilled with how the book turned out and I’m eager to share it with you! 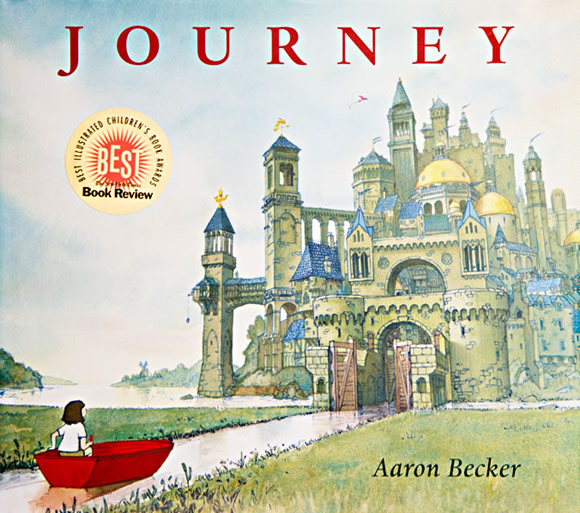 It’s a really fun story: a humorous, high-spirited adventure that can appeal to all ages (7~107)! Of course, this book is fiction and different from my non-fiction book about raising bilingual kids, but both books will now serve the same purpose in helping me sustain and strengthen my work at Bilingual Monkeys and The Bilingual Zoo and keep these popular resources free for everyone. So, as with Maximize Your Child’s Bilingual Ability, when you lend your support to the success of How I Lost My Ear, this can benefit us both as well as many others out in the world. Many, many thanks! And happy reading! 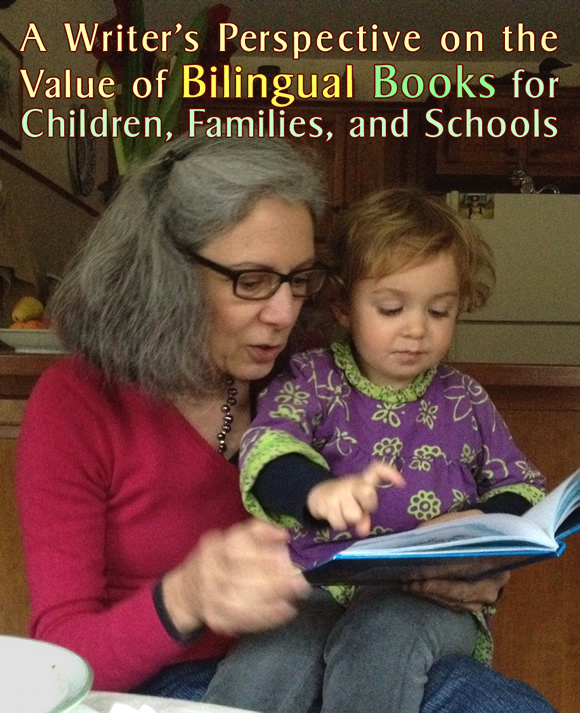 ADAM’S NOTE: Have you ever wondered about the value of bilingual books? This is a common question, and one that I’m so glad to have author Delia Berlin respond to in this guest post. 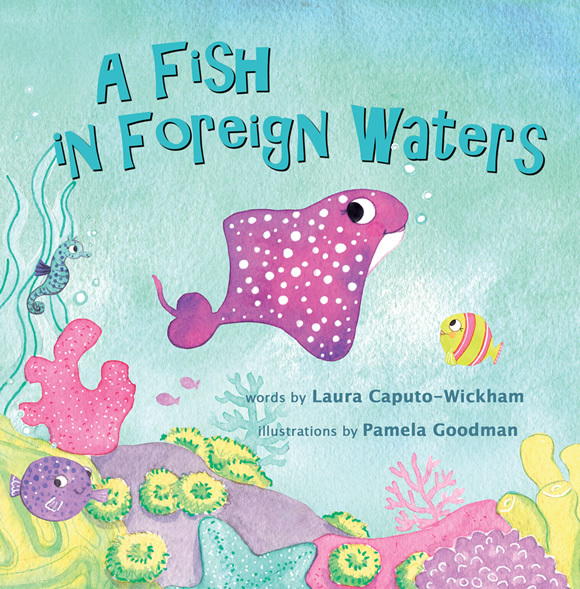 From her thoughtful perspective, she gracefully explains the many ways bilingual books can be beneficial in the home and classroom. Thank you, Delia, for your insight—this is a post that I will now point to whenever this question is asked. 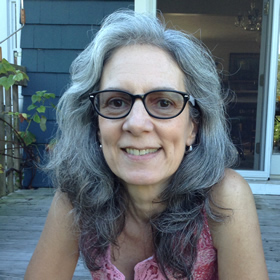 Delia Berlin grew up in Argentina and Brazil, but spent her adult life in the U.S. state of Connecticut. Her professional career focused on education and administration. With graduate degrees in both Physics and Family Studies, she also worked in early intervention and taught child development at the college level. While living in three countries, Delia’s world view was influenced by the need to navigate different cultures. 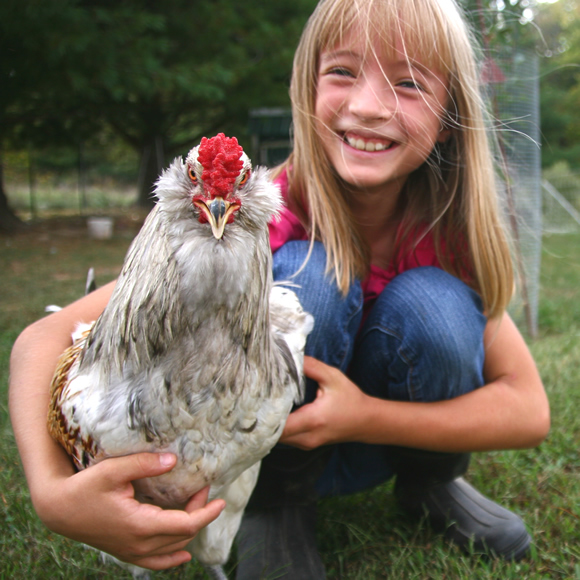 Throughout her life, friendships with animals also shaped her learning and understanding of nature. For more information, visit www.deliaberlin.com or www.amazon.com/author/deliaberlin. Infancy and early childhood are critical periods for language development. During these periods, all children have their highest potential to learn multiple languages without special effort. When families have speakers of different languages, they have the opportunity to easily gift their children with a highly valued and useful competency. For these families and their children, bilingual books are very helpful tools to succeed in this effort. Reading to children from early infancy provides permanent benefits, both for children and for those who read to them. When a child enjoys that special interaction with a parent, the parent is rewarded, strengthening the long-term bond that raising a successful person will require. With children, early investment has the highest return. Lots of social stimulation and broad experiences in early childhood will increase curiosity, develop self-confidence, and make future learning easier. Current research has confirmed that bilingual children learn faster, and that learning languages even supports other types of learning. The cognitive effects of bilingualism are positive through the entire lifespan, and even include protection against some forms of dementia in old age. But most bilingual or multilingual families have some members who don’t speak all the languages in play. Different relatives will remain limited to communicating only in the languages they can speak. Accordingly, they will be able to read to children only in those languages. Since books should be part of a child’s environment from infancy, finding enough of them at the appropriate levels in all the desired languages presents a challenge. In infancy, pictionaries are ideal for learning single words bilingually. 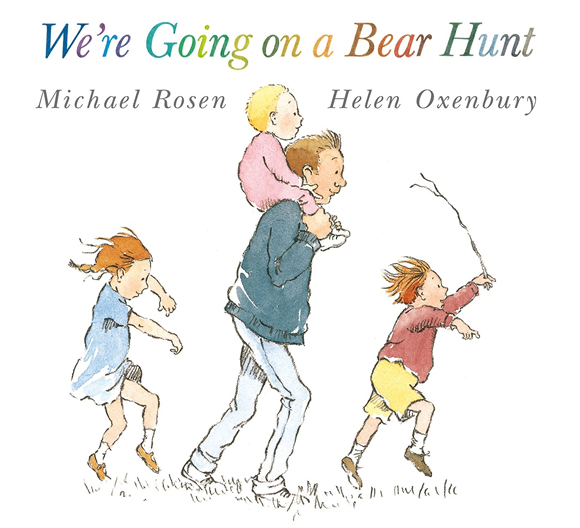 These books can be used by anyone in the family, regardless of their own language. Since infants can’t read, they focus on the pictures and the accompanying sounds that adults make. Pictionaries are the perfect starting point for teaching labels in more than one language. As parents of bilingual kids, one of our most important aims is nurturing a positive attitude toward the minority language. When a child feels that this language has value, that it benefits his or her life, our efforts to promote its growth can be far more effective. The reverse, I’m afraid, is also true, and if the child doesn’t feel much value in learning or using this language, the road ahead will be more difficult and less productive. Books and reading should lie at the very heart of your bilingual journey. In The Secret to Raising a Bilingual Child, I stress the tremendous power of reading aloud to your children each day, day in and day out, to nurture language and literacy development. In How Many Books Do You Have In Your Home?, I cite sweeping international research which indicates that the larger your home library, the stronger your children’s language ability can grow. In Free Report: The Power of Reading in Raising a Bilingual Child, I offer a PDF with a full overview of my thoughts on ways to make books and reading a central part of your efforts.